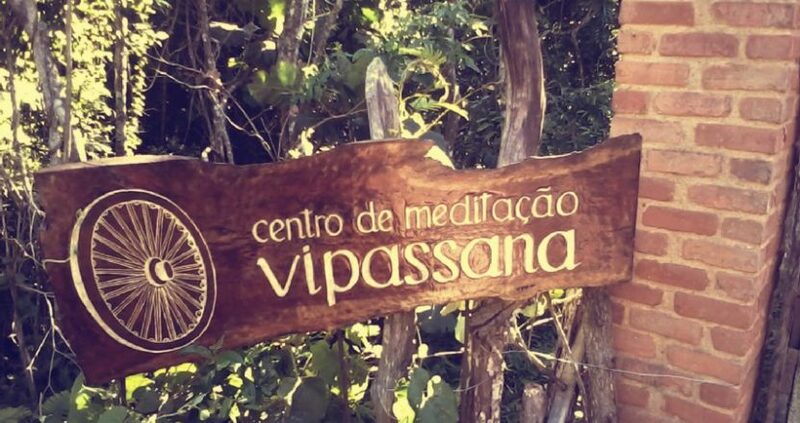 A way to learn how to meditate and understand the practice is participating in a Vipassana meditation course, that takes place in several cities of the world. 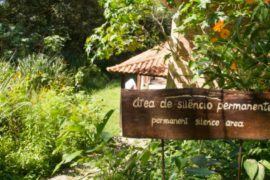 Each course is a 10-day immersion experience, with lots of introspection (since you also make a silence vow) and it’s a non-profit making work (they are free). That’s because Gabriel, my husband, has already been practicing it for years. I respected it and could see it was very good for him, but I thought it wasn’t for me! I thought meditating was staying sitting down, moveless, with a very peaceful mind. And frankly…I wasn’t able of doing any of that. Staying silent? May I be able of doing that? Then reading the book The Art of Living: Vipassana Meditation, that tells about the course, I realized that meditating is for everyone (even for the most restless people). And also that this meditation technique is very practical and logical. I got fascinated! As soon as I finished the reading, I signed up online for a 10-day course and got ready for the trip. It’s about an ancient meditation technique, rediscovered 2.500 years ago in India by Siddhartha Gautama, the Buddha. The technique was preserved in monasteries, until it was popularized and began being teached in the world by Sri Satya Narayan Goenka in 1969. Seven years later, the first meditation center was founded. Since then, around 2 million people have already taken part in a course, now offered in more than 180 centers around the world. Vipassana means “seeing things as they are”. The technique shows each one the path for taking control of one’s own mind and life. It focuses in the connection between mind and body, that can be tried by each one, by paying attention at the physical sensations. The scientific laws that trigger the thoughts, feelings, judgements and sensations become clear. This journey of self-knowledge based on observation, dissolves mental impurities little by little. How is the Vipassana meditation course? 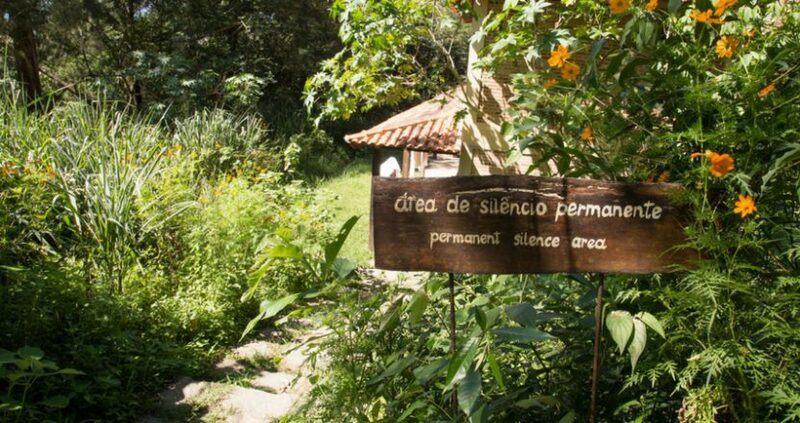 Imagine a place surrounded by a lot of nature, with around 50 people of each gender living in silence. All the structure given through donations and a group of people working voluntarily. Everything involved in just one purpose: self-knowledge. That’s how one of the 10-day Vipassana meditation courses went. My first one was in São Paulo. 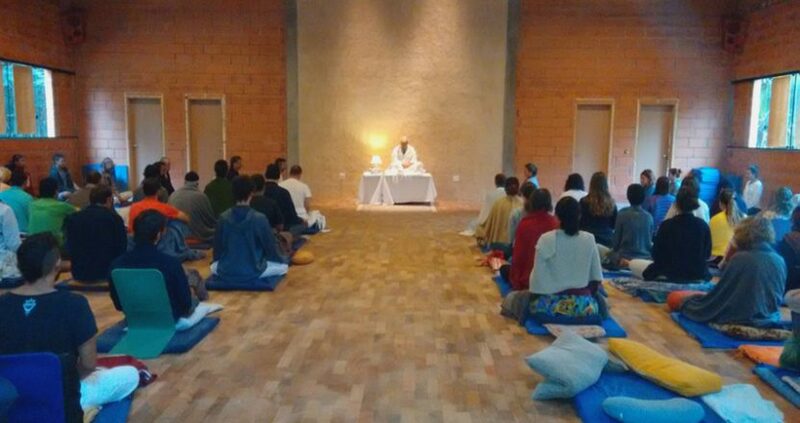 I flew to Guarulhos airport and from there took a ride, organized by the course system, to easily get to the meditation center. Once in there, I was impressed by the beauty of the place and serenity of the people welcoming us. Among the new meditators there was a mix of curiosity, concern and euphoria. We would try to predict how the next days would be and ask questions to the old students that were there to take the course again. The bell jingles! We had a meeting, light dinner and already the first meditation of the course (and one of the first ones of my life). The silence vow also began. The course begins with Anapana meditation technique, concentrating the attention into breathing. Its purpose is to develop this consciousness, concentration and sensitiveness. In the next day, the daily routine started: wake up at 4 in the morning and start the meditation sessions, that happen all day long and take from 1 to 2 hours each. The rhythm of the course is intense, but also progressive. Pretty soon I was adapted and dealing with one challenge at a time. During all of the days there are instructions on how to apply the technique, that are given through audio recordings of professor S.N.Goenka. The instructions are very didactic, being repeatedly explained and in different ways, to reinforce the teachings. At each meditation and introspection day, sensibility grows and I started learning about my body and mind in a way I could have never imagined. When a negative thought came to my mind, I could immediately feel the reflect of it in my body: pression in the chest, chills or stomach burning. Positive thoughts would make me feel light or with an warm chest. Each one of these little feelings combined with a practice of non-reaction, causes a huge change inside yourself! Besides, learning to pay attention to the sensations of the body brings your mind to the moment, to the present. All of this learning also counts with audios of Goenka speeches and are filled with knowledge. Ah, the meditations are always interleaved by simple and tasty vegetarian meals. Vegans, intolerants and others only have to tell their special needs at the enrollment and they provide everything. 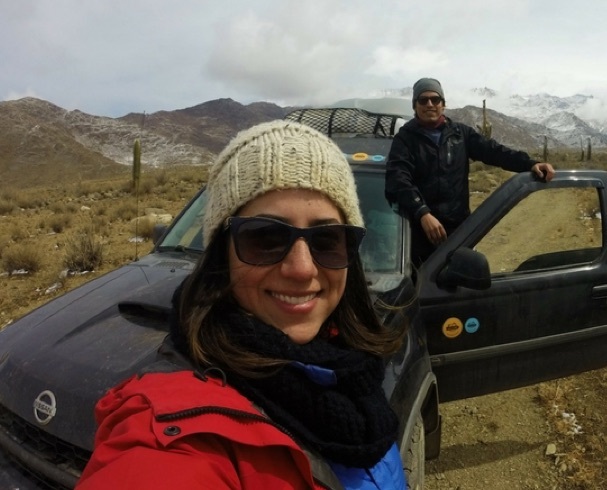 Participating in the course was a unique opportunity to spend 10 days with myself, looking only to the inner part of me. So, in spite of my mouth being in silence, I could realize that my mind wasn’t. How to control it (instead of it controlling me)? Before the course, without noticing, I was tying more and more knots in my life. And thinking it was all right! One of the key-concepts of Vipassana technique is “Anicca”, which means “law of impermanence”, translated from the pali language. Everything is changing all the time. Accept, objectively observe and don’t multiply it. This is what we learn during the course. 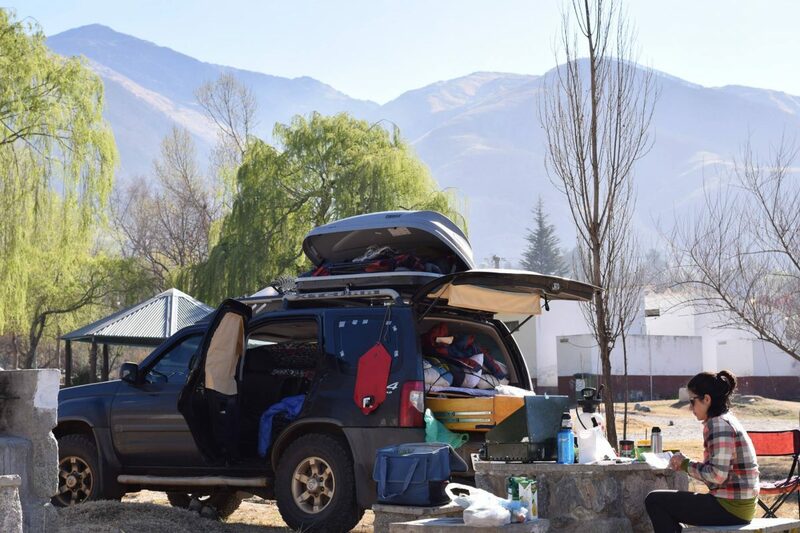 It was also an opportunity to live like a monk. Because adding to the intense meditation, everything we received during the course was from donations. So I received and only accepted from heart. Without demanding or criticizing, like I used to do. 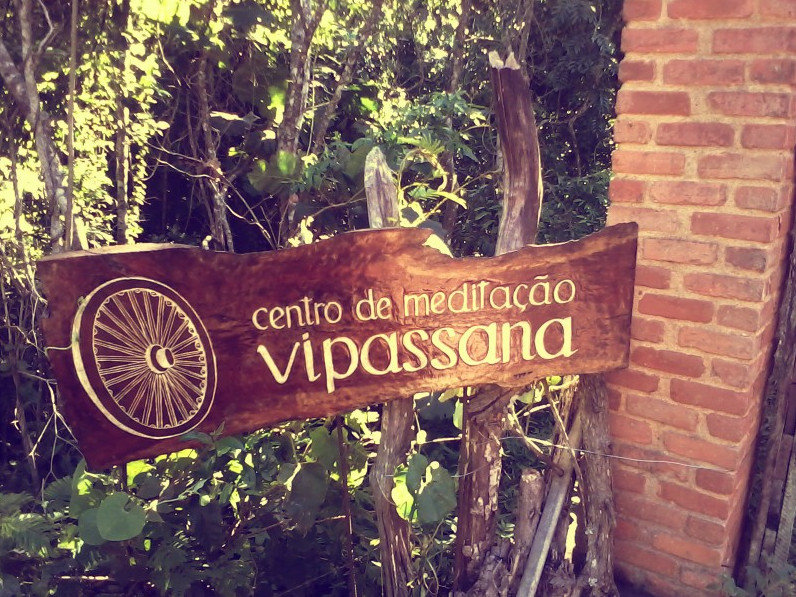 From the first course, I saw in Vipassana meditation a great tool to face any challenge. Following the practice I have noticed the great impact in my daily life. So I thank, one more time, to have the opportunity of practicing it. 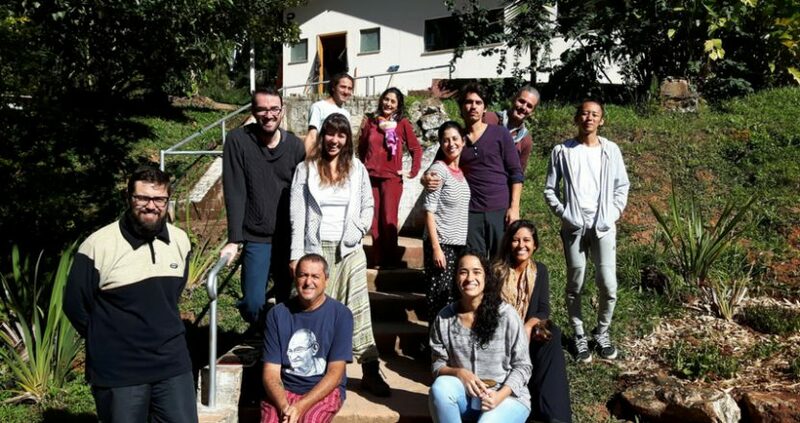 At the last day of the course, when the silence vow comes to an end, I could meet my meditator colleagues, that were from very different styles: there were college students, yoga teachers, psychologists, retired people and even a pregnant woman. From the most varied professions and also religions. In very different searching paths… and also so similar at the same time! It was very nice being able to share experiences, ideas, learning their motivations and challenges. The truth is our mind find excuses, trying to trick itself not to go. 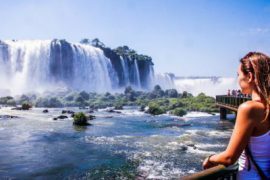 But after signing up, getting ready for the trip and getting to the meditation center I realized: the most difficult is already behind me. If I did it until here, I can do it! During the 10 days of meditation, everything seem so clear. I could see the happiness and suffering that I create for myself, here and now. Even more important: I found a practical (and powerful) tool to deal with all of it. So I feel I still have a long path to follow. But I can already notice that yes, freedom is possible! “Welcome to the real world”, she said. I answered that “actually, I feel like I have been into the real world. And now I’m returning to the illusion world”. That’s right, coming back. But feeling lighter, with more peace and harmony. I also hope that more attentive, to keep these qualities for as long as possible. The courses take place all over the world and in different dates. 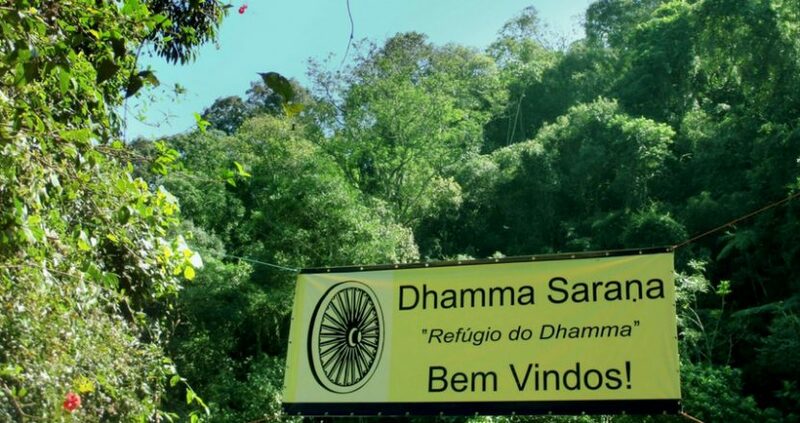 All the places and dates are available in the website Dhamma.org. 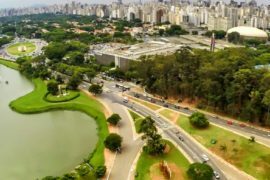 In Brazil there are centers in Rio de Janeiro (in Miguel Pereira) and São Paulo (in Santana de Parnaíba). There are also rented places in many other cities: Curitiba – PR, Caeté – MG, Ilhéus – BA, Brasília – DF. The participation is free of charges. 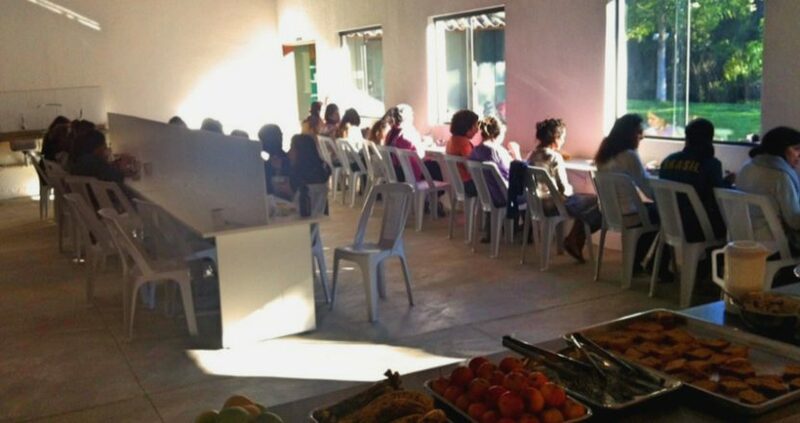 You will receive lessons, accommodation and feeding as a donation for you. After completing at least one 10-day course, you can donate according to your availability to help providing new courses. To participate, it is also not required knowing how to meditate. The book The Art of Living, from the author William Hart, can be a great introduction to the topic. It tells about the technique and transcribe the lectures recorded in audio by the professor S.N.Goenka, that are played during the 10-days courses. This reading was one of my first contacts with Vipassana meditation. It was very good to see if I had affinity with the technique. Also helped me a lot during my first course, since I have already read and reflected about many things brought up there, so it was easier to dive into the process. Just search for the available courses and, when the applications are accepted, fill in an online form. The approval or not and other communications are made by email. I suggest looking for it in advance and saving the date when the applications start being accepted. Then organize yourself to enroll very early on that date, because the vacancies are usually completed fast (in less than 24 hours and sometimes even sooner for women). In case your application isn’t accepted at first, don’t give up! Try again on the next date or in another city. It’s going to be worth it!